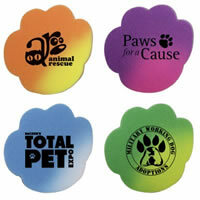 Promote your business with Color Changing Mood Erasers. 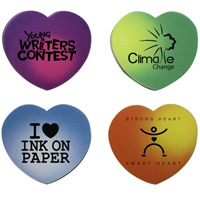 Print your custom design or message on these Mood Erasers. 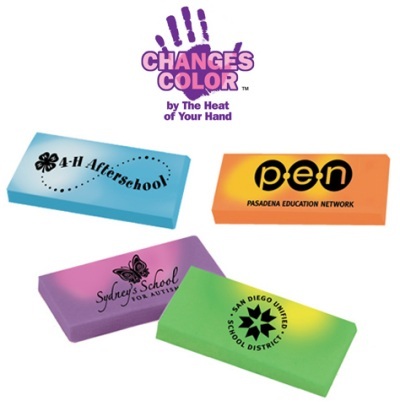 These attention grabbing erasers change colors simply by the heat of your hand. Standard shape Mood Erasers and Die Cut Mood Erasers are both available. Mood Erasers are available in blue changing to white, purple changing to pink, green changing to yellow, orange changing to yellow. 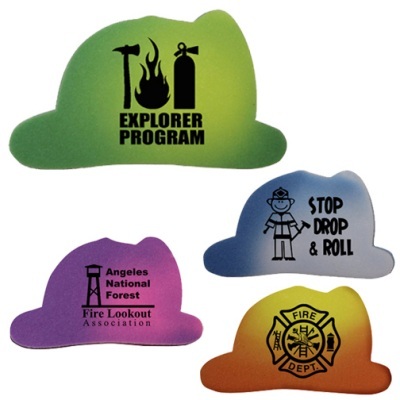 Standard Imprint Colors provided at no extra charge: Black, White, Red, Lt. Blue, Med. Blue, Dk. Blue, Lt. Green, Med. Green, Dk. Green, Brown, Purple, Yellow, Teal, Orange, Maroon, Gold, Athletic Gold, & Silver. BLACK IMPRINT IS RECOMMENDED on our Mood Erasers. 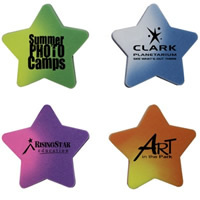 Size of Color Changing Mood Erasers are 1-15/16″ wide x 15/16″ high x 1/4″ thick. 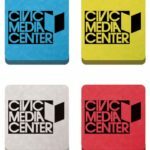 Imprint area is 1-7/8″ wide x 15/16″high. 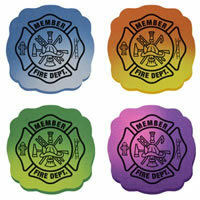 These Color Changing Mood Erasers are die cut into several fun shapes and change with the heat of your hand! 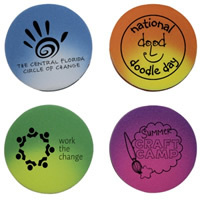 Die Cut Mood Erasers are available in orange to yellow, blue to white, purple to pink, green to yellow. Size of Die Cut Mood Erasers is approximately 2″. Imprint area varies depending on shape. 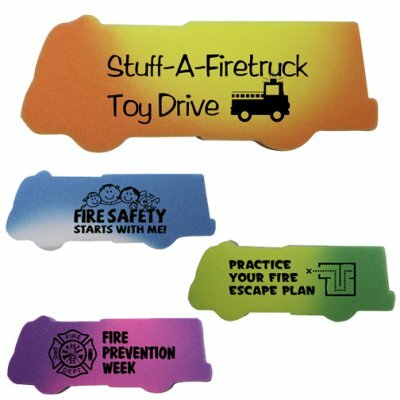 Custom Die Cut shapes are available. 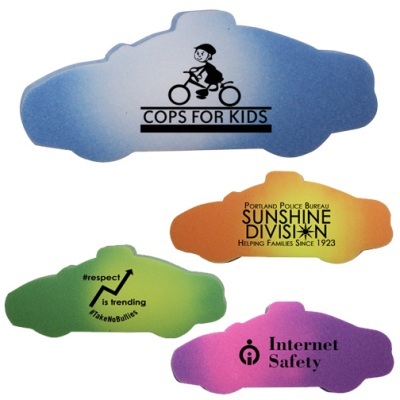 We specialize in quality promotional products for church, business, special events, organizations or political campaigns. Your personal advertising message is imprinted on 1-side. Additional charges apply for more than 1-color imprint or 2-sided imprint. Contact us us at 706-374-0710 for pricing.